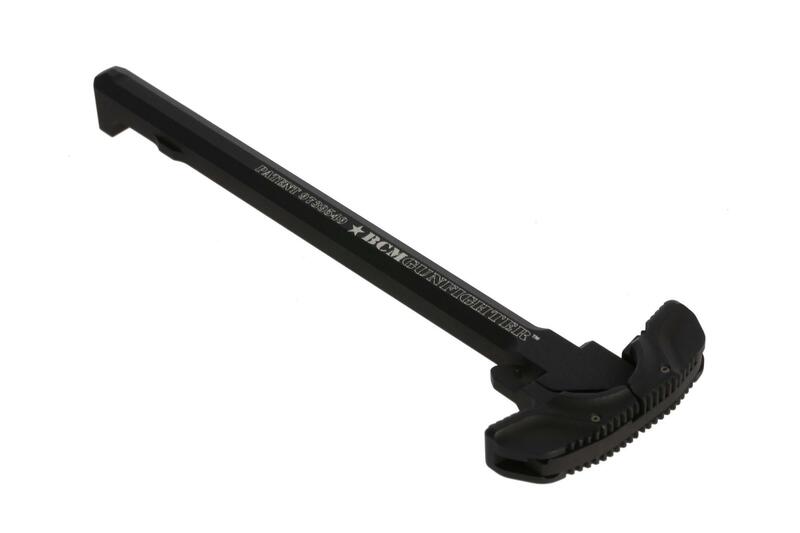 The Bravo Company Manufacturing BCMGUNFIGHTER Charging Handle, through careful design and superior craftsmanship, is one of the most reliable on the market today. 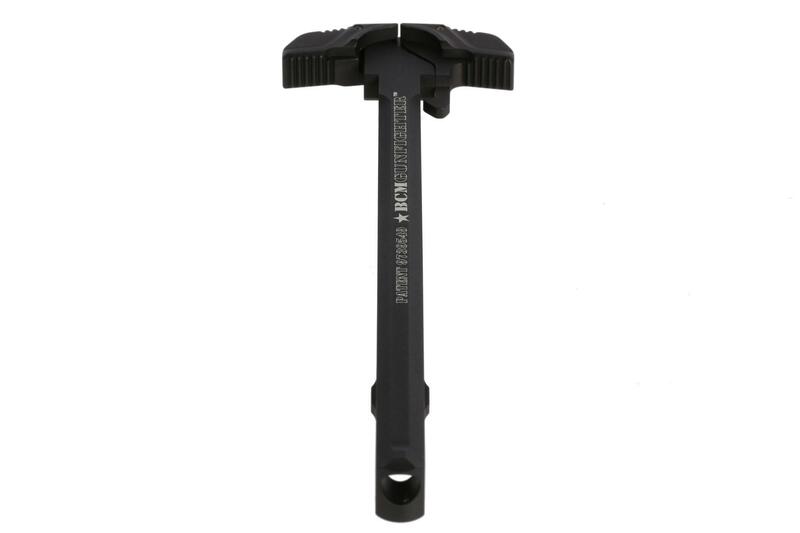 Its design removes a critical weak point which can result in failure of the charging handle latch. While charging the rifle, rather than placing pressure on the tiny roll pin which secures the latch to the body, forces are redirected into the body of the handle. 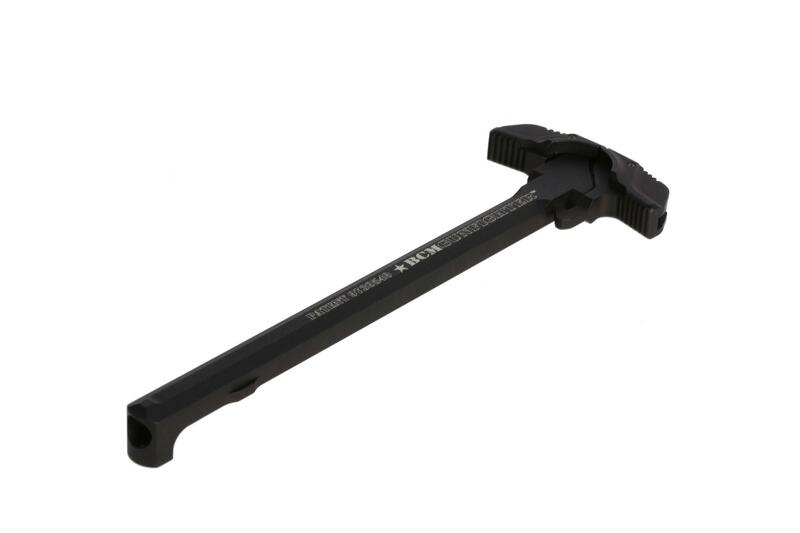 Further strengthened by tough 7075-T6 billet aluminum construction ensures a long service life in your rifle. Additionally, a raised lip machined into the top of the handle helps to mitigate gases directed rearward. Anodized with a MIL-SPEC Type III Class 2 hardcoat in matte black. 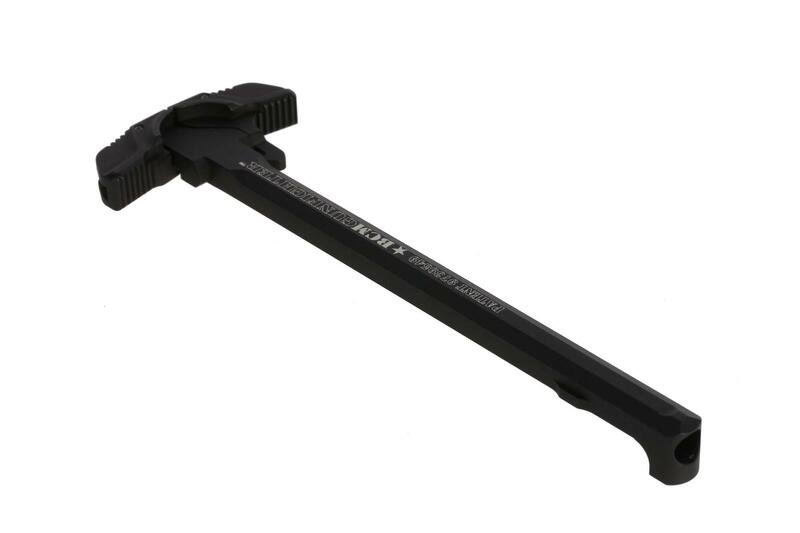 Compatible with MIL-SPEC AR-15 direct impingement weapon systems. 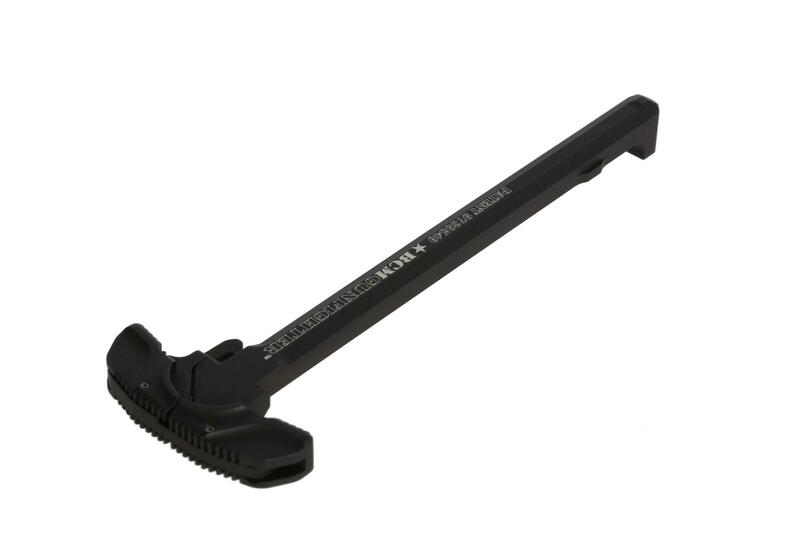 NOTE: Not compatible with adjustable gas keyed bolt carrier groups. Excellent design, build and operation! Excellent design,well made. Slim,trim and excellent traction. Narrow handle and sharp serrations can be a bit uncomfortable when "blading". I also have the also excellent AXTS/Radian raptor and my current favorite Griffin Armament SN-ACH which work better for scoped use. 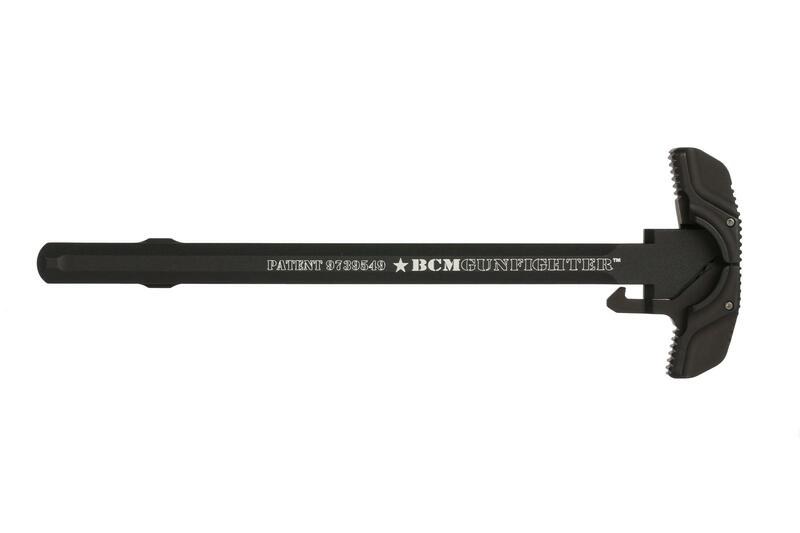 But when running irons, red dot or just running light, slim and trim the BCM will likely get the nod. I like it so much a may get the larger 3×3 model for scoped use. Cant say if itll win out over the SN-ACH but itll be close. Highly recommended. Low profile and well built.